My friend Lili has always been a massive fan of Triumph’s Speed Triple. She’s also a coworker, so I basically spend more time with her than I would care to on any given work week. 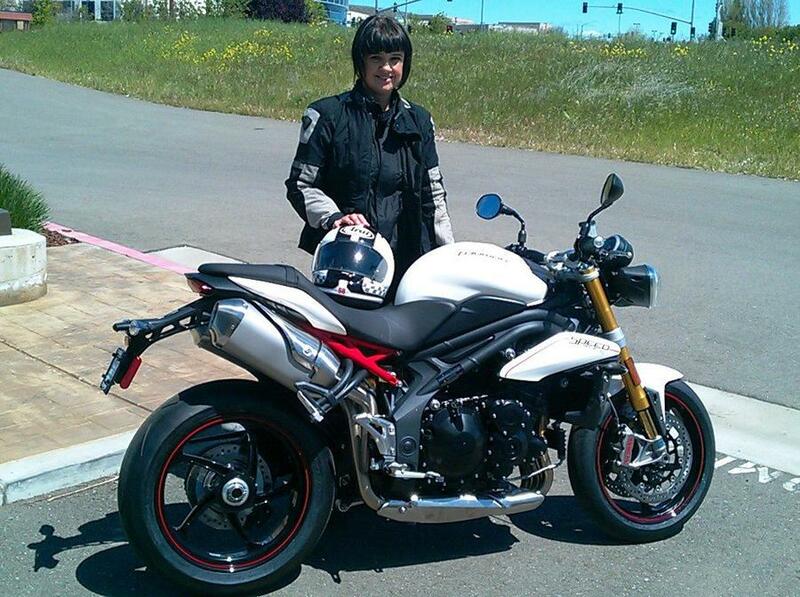 She’s harped for years about the virtues of the Speed Triple, having owned a 2002 model as her first one when it was released, to now owning a 2012 Speed Triple R since it was first offered. As a motorcyclist with a revolving garage door of used motorcycle ownership myself, nothing ever did make Lili happier than to see me on a Speed Triple. And as the years passed, wouldn’t you know it, I ended up owning a Speed Triple not just once, but three times. Somehow, that’s one more than my fanatic of a friend. Go figure. 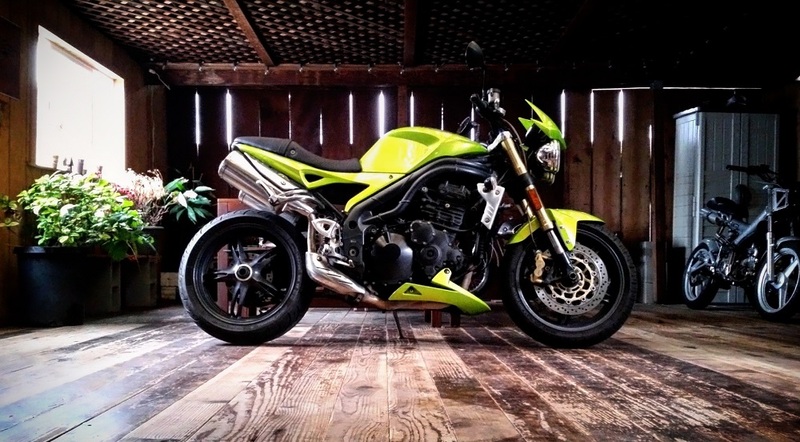 It started back in April 2011, when I first purchased a used 1999 Speed Triple and had my first taste of a three-cylinder inline engine on a motorcycle. I was instantly hooked on its omnipresent and useful torque output that, to this day, I dub triple engines as the most perfect motorcycle engine for real-world use. Admittedly, I only owned that bike for about four months before trading it in for hard-to-get performance parts for my 2002 Yamaha R1 (no regrets), but I rode that bike daily prior to giving it up. It left such an impression on me it ensured that it wasn’t going to be my last time owning one. The second one I owned was the same generation as the last, and in the same Roulette Green color. I bought it in late 2013 for $500 due to a faulty transmission, but my ownership of that was even shorter than the one prior, as I ended up selling it within a week of getting it back from the shop after the transmission was replaced. Let’s just say that someone really, really wanted to buy it from me, so much so that they agreed to look at it in the parking garage at my work and drive me home after I agreed to ride the bike to their house that night. Like I said, they really wanted it. Now, I know my first two ownerships of a Speed Triple hardly read like substantial accounts for just how awesome these bikes are, but bear with me. Third time is usually the charm, after all. It was a few more years before I owned another one, in August of 2016. I had been using an ’88 Honda NT650 to commute during the work week, fully content with it being my daily steed for nearly three years. That is until I happened upon a private party ad for a 2007 Triumph Speed Triple. I decided to meet the seller at his workplace, which is in a neighboring city from where I live, as he commuted to his work on the bike itself. Suffice it to say, much like how the buyer to my previous Speed Triple was really eager to buy that bike from me, I drove this seller to the nearest BART station to get home in San Francisco after I purchased his commuter. No reluctance, no regret, and I haven’t stopped riding this bike ever since. I spent nearly three years commuting on the NT650, so clearly it wasn’t inadequate. I may have noted shortcomings like its seat height for a tall guy like me (#dadpuns, totally), or its relatively underpowered 650cc v-twin engine when paired with its excellent chassis, but the bike still served me well as a daily workhorse. In fact, prior to coming across this 07 Speed Triple, I don’t think I had even considered replacing the NT650. But setting aside my historic affinity for Speed Triples, riding the 07 made me realize that perhaps I had simply grown content of things I had to do without on the NT650; taller ride height, handlebars for a truly upright riding position, modern brakes, and a powerplant that finally made use of the chassis’ prowess. It made me realize that perhaps the reason I stopped commuting on my NT650 between late-September to early-October was because I may have been ill-equipped to deal with the shortened days late in the year; the single headlamp didn’t inspire confidence that I could be seen in rearview mirrors at night, and potentially having to stop on a dime with the single-disc front brake didn’t exactly inspire confidence. The Speed Triple’s signature dual headlamps were doubly effective at telegraphing my presence, while its dual front discs against the radial calipers meant more than adequate stopping power at a moment’s notice. The taller ride height of the Triple also gave me a much more advantageous vantage point to see over and all around the vehicles during my commute. For the past two winters since taking ownership of it, I continued to commute to work on the Triple further into the year than I historically have. Whereas I would park my Honda NT650 for my Honda Prelude to not have to deal with the early nightfall of fall and winter, with the Speed Triple I’ve had no hesitation to continue until the rainy season would begin here in Northern California. The Speed Triple has simply been the best street motorcycle I have ever lived with on the daily, especially to navigate the Bay Area congestion. It got me to thinking that maybe I didn’t necessarily replace my trusted NT650 after all. Maybe the NT650 was simply holding me over until I returned to the Speed Triple. And it may have been slightly late, but it’s definitely been worth the wait.